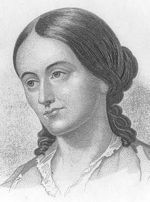 Bonnie Hurd Smith, a noted local historian, will be delivering a talk on Fuller, an educator, reformer, and revolutionary whose book “Woman in the Nineteenth Century” is considered to be the first feminist work in the United States. This year our denomination is celebrating the 200th anniversary of the birth of this remarkable Unitarian. Also this Sunday, we will welcome our new interim director of religious education, Ashley Benner. You will find her greeting to the church community in the Religious Education section of NSUU.org. Our service begins at 10:30 a.m., followed by coffee and fellowship at about 11:30. Visitors are always welcome.